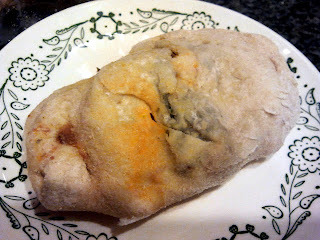 superphoebe: Homemade Hot Pockets for Leftovers! Homemade Hot Pockets for Leftovers! No, they aren't pretty. But, these little homemade hot pockets I made with our thanksgiving leftovers are delicious! And, the freeze very well! I had some frozen pizza dough, so I just thawed it out, let it get to room temp, and cut up a whole bunch of our leftovers and mixed them into two big batches- one for the ham, and one for the turkey! Random veggies- either thawed frozen mixed veggies, spinach, brussels, green beans, whatever you like! I used spinach, and made sure it was dry. 1/2 cup sweet potatoes or mashed potatoes- you decide! Random veggies- either thawed frozen mixed veggies, spinach, brussels, green beans, whatever you like! I used mixed frozen veggies that included peas, carrots, tiny green beans and corn which was perfect with the mashed potatoes. Preheat oven (according to dough instructions- pizza should be 400-425 degrees) and lightly grease a cookie sheet with olive oil. Roll out your dough into little circles (size by eye) on a well-floured surface. Then, spoon very generous portions of the mixture into each circle. Fold over to a half-moon shape and pinch the edges until sealed. Transfer to the cookie sheet, poke the tops with a fork for venting, and brush with a little olive oil. Bake until browned a bit and crispy, 20 minutes for the pizza dough, probably about the same for other doughs as well! 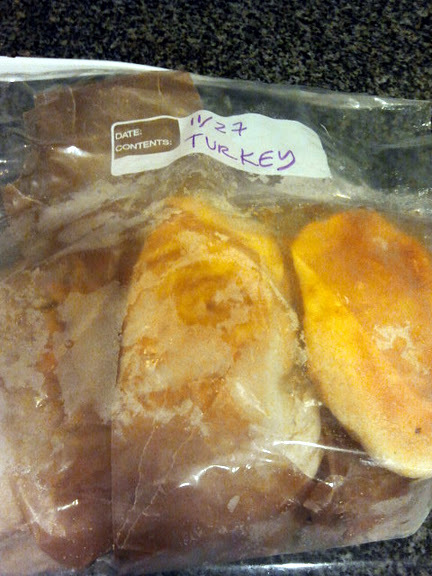 Make sure to cook and allow to come to room temp before freezing. If freezing, wrap in parchment or wax paper, then put in freezer bag and enjoy having some leftovers through the winter! PDX ETSY Cyber Monday Sale!! !